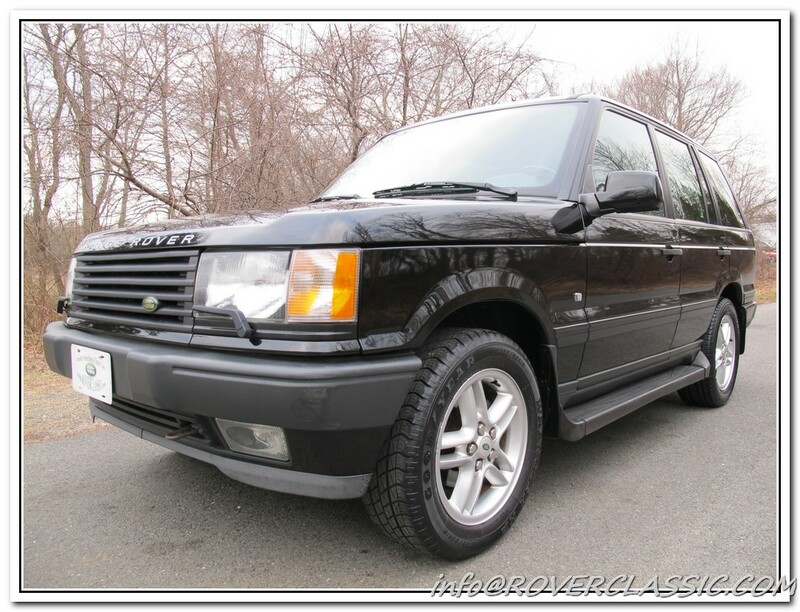 2000 LAND ROVER RANGE ROVER ... 74,412 Original Miles Engine : 8 Cyl Transmission : Auto Exterior : Black Interior : Tan Body Style : SUV Vin : SALPV1545YA437945 This P38 spent its whole life in Florida and Georgia, it has Automatic Transmission, Spring conversion, Power Brakes, Leather / Power / Memory / Heated seats, Fog lights, Headlight wipers, Power windows, Power door locks, Power mirrors, Tow hitch, CD Changer / Tape / AM / FM, Power Sunroof, Steering wheel controls and Air Conditioning. Tires have at least 99 % thread left. The paint looks original with absolutely no rust anywhere on the car. Our mechanics performed full service on this beauty, they have replaced oil and filters, installed new rotors, brake pads, tie rods and stabilizer links. 2008-2019 © Rover Classic Ltd.